Wondering when it might be a good time to buy or sell a home? It’s always a great idea to be armed with information. Is your agent on top of your local market? June was not only a month for weddings, it was also a happy time for buyers and sellers to come together. The real estate market was strong in June, experts said, though there are lingering concerns that mortgage interest rates might tick up and put a lid on activity. So far, however, 2013 has been a good year, some North Shore real estate agents said. “For buyers and sellers and practitioners alike, it’s been really great,” said Amy Wallick, president of the Beverly-based North Shore Association of Realtors and a real estate agent with J. Barrett and Company of Beverly Farms. “I think it’s going to stay strong and steady throughout 2013 into 2014,” said Patricia Marcotte, an agent with Re/Max Advantage of Beverly. She said the present market is “definitely an improvement from last year,” in terms of both sales and prices, so much so that some single-family homes are triggering “bidding wars” among buyers. “The bidding has come back because of a lack of inventory,” said Marcotte, who added that the market for homes is stronger than for condos. 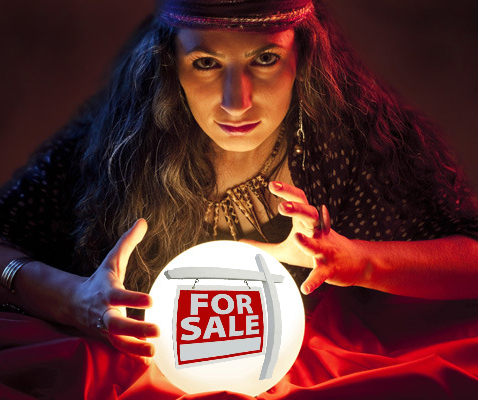 She predicts the market will have a normal appreciation for prices of about 2.5 percent a year for 2013 to 2014. “The housing market continues to boom locally, and nationally,” said The Warren Group CEO Timothy Warren Jr. in a prepared statement. “As long as mortgage rates and home prices don’t spike too high, we’ll see a very strong recovery year for the market in 2013.” Warren hoped for moderate increases in the market so that homes can remain affordable. “Right now, we have more willing buyers than willing sellers,” Warren said in a podcast. This is especially true on the North Shore, Wallick said. “It means we are experiencing a lot of multiple-offer situations on a lot of properties. In these multiple-offer situations, that often means these properties are getting bid up,” she said. Wallick said she does not see the market imploding anytime soon, because many factors that helped pop the last bubble several years ago, like loose lending standards, were external to the housing market. Yesterday, both the Massachusetts Association of Realtors and the Warren Group reported strong sales of single-family homes in June. The Warren Group, publisher of real estate and financial information, said that Massachusetts’ single-family home median price of $350,000 in June is the highest it has been since August 2007. The Warren Group recorded 5,591 home sales in June, a 1 percent jump in year-over-year home sales, and the best month for them since June 2010. The Massachusetts Association of Realtors, whose numbers differ slightly from the Warren Group, saw 5,528 home sales and a 1.6 percent increase from the number of homes sold in June 2012. June homes sales shot up 16 percent from May. Condominium sales were a mixed bag in June, dropping more than 3 percent from June 2012, though they rose 2 percent for the first half of the year, the Warren Group said. The median sale price of condos in June was $320,000, up 3.2 percent from $310,000 one year ago. Realtors said sales of condos were flat in June compared with the same month a year ago. North Shore cities and towns did not always follow the statewide trend of rising home sales and prices, but most cities and towns generally showed upbeat numbers. Danvers saw a dip in home sales year-to-date and prices that remained unchanged. However, Danvers condo sales were up sharply, almost 43 percent, while prices were up a modest 4 percent. The Salem real estate market has been strong so far this year, with near 30 percent spikes in single-family home sales and median price in a six-month comparison to last year. The number of condo sales in both Ipswich and Marblehead dropped in the first six months of 2013, compared with the same period last year, but prices rose substantially. Wallick said inventory is tight “across the board,” especially for multifamily properties and starter homes. An increase in interest rates over the past few months helped spur the market, Wallick said. A survey of rates on Freddie Mac’s website put the average for a 30-year fixed mortgage nationally at 4.37 percent on July 18. On May 16, it was 3.51 percent. Home closings picked up in June as people anticipated rates rising, Wallick said. While rates have always played a part in the market, Wallick said rates are still affordable. Wallick recently put under agreement a Cape on the dead-end street of Goldsmith Avenue in the Ryal Side neighborhood of Beverly. The home, which abuts a golf course, has three to four bedrooms, refinished hardwood floors, a new front deck and fresh landscaping. It was listed at about the state median home price of $350,000. While Wallick cannot say the closing price because it is under contract, she had three offers on the home after it was on the market for three weeks. Some properties are selling after less than a week on the market. “Agents are having the busiest open houses they have had in quite some time,” Wallick said. Marcotte said the condo market is not quite as robust as that for single-family homes. The median sale price for condos in Salem is $235,000, while the median price for condos under agreement is $229,000. What can you get for around that price in Salem? Marcotte is the agent on a first-floor condo conversion on Hazel Street. The first-floor, two-bedroom unit has been completely remodeled, with hardwood floors and 1,100 square feet of living space. The condo sports stainless-steel appliances and granite countertops. The list price of $219,000 has already been reduced. Still, Marcotte said the condo market is “holding its own” as the market for single-family homes continues to heat up.